The sweet scents of "Vrindavan Flower", give you the feeling of smelling the flowers of Vrindavan, which create a distinctive atmosphere. 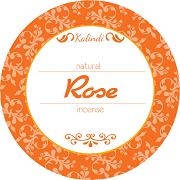 Rose is made from the oil of rose and has a very pleasant and sweet smell when it is burned. 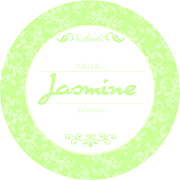 "Jasmine" purifies the emotions and its sweet fragrance gives a feeling of freshness. This incense contains the sweet and irresistible fragrance of Kadamba flowers. 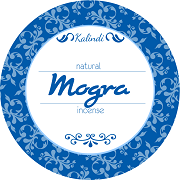 Mogra is a composition of the fragrance of Mogra flower. If these incense sticks are burned, they exude a very sweet smell. An exciting magical fragrance derived from the beautiful Jasmine flower and few other secret ingredients. "Kewara" is made from the purest and finest ingredients, which exude a soothing scent into the environment. With these fine incense, you enjoy the smoothing scents of lavender. This fragrance is perfect for relaxing with friends or after a long day. With the scents of "Special Champa" you bring the seductive atmosphere of oriental gardens in your home or in your office. "special Champa" smells more attractive then "Champa". These "Night Queen" Incense Sticks are known for adding a mystic charm and lighten up the ambiance Used in meditation.Perfect for prayers and meditation, it has a soothing and calming effect on the mind. This product carry the features such as divine fragrances and soothing effects and brings a lively and pleasant effect in a place. "Pancholi" works wonderfully relaxing and is great for entertaining yet relaxing moments. "Panchtattva" stands for aromatic scents. The aroma is a blend of musk, resins, sandalwood and other fine fragrances which together produce a distinctive sweet smell. The smell of "Malti" creates a vibrant and lively atmosphere in the area, while acting simultaneously refreshing to the meditators. "Everest" creates a pleasant and calm atmosphere. The mixture of aromatic herbs and essential oils relieves stress and soothes the soul during meditation. "Chintamani" incense sticks are made ​​from natural ingredients, which spread a special flavor that can revitalize the senses. 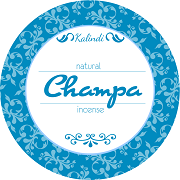 With the scents of "Champa" you bring the seductive atmosphere of oriental gardens in your home or in your office. Ambar Incense create a pleasant calm atmosphere. The mixture of aromatic herbs with essential oils relieves stress and soothes the soul during meditation by freeing the room of negative vibration. This soothing incense sticks are made ​​from natural and pure ingredients from the forest such as essential oils, flowers, bark, herbs and resins are blended with natural fragrance. "Rajnigandha" are made to invoke pleasant moods and can be used in various spiritual ceremonies. They fill the whole atmosphere with sweet smelling fragrances.